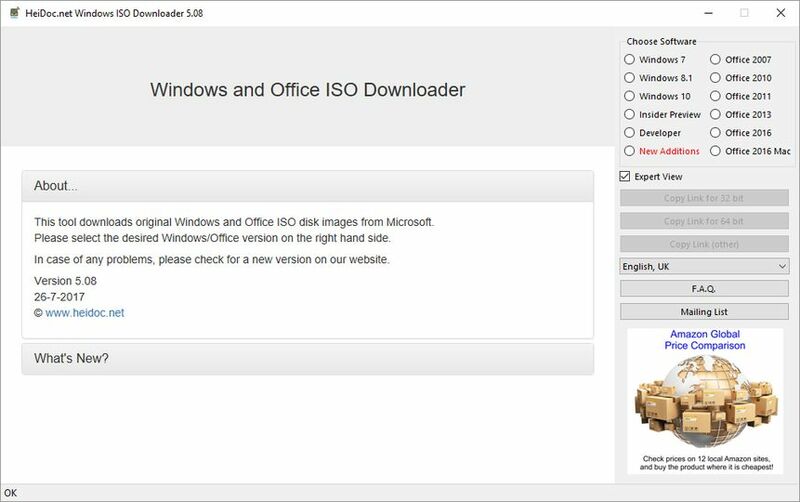 Microsoft Windows and Office ISO Download Tool makes it easy to download a genuine Windows 7, Windows 8.1 or Windows 10 ISO. The downloads come directly from Microsoft's own servers. It just simplifies the process of hunting down an untouched ISO file on Microsoft's own servers, to save you time. Great program, I will use it to download all my Windows software installs. If you have valid product keys you are good to go with this software.